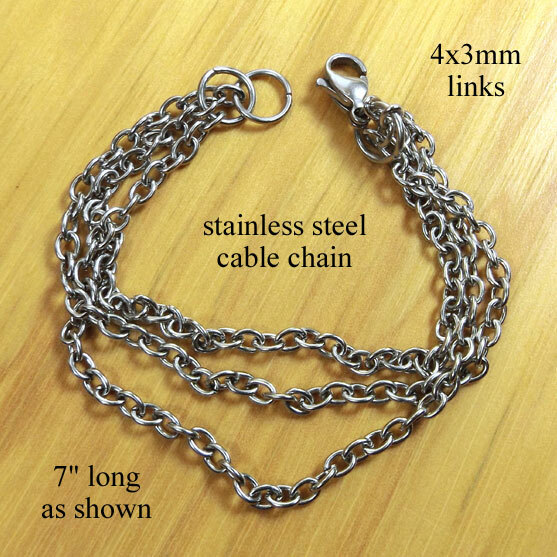 I’m getting in a new line of supplies – so I can offer stainless steel chain and basic jewelry findings in my Etsy shop. Once I’m sure about my supply line, and have field-tested the stainless steel, look for them in my store! So far so good – no residue, no damage, nothing bad: I think I’ve got good stuff. Stay tuned!